When you want to add a help text to a question, click on the 'Help' tab while adding a question. 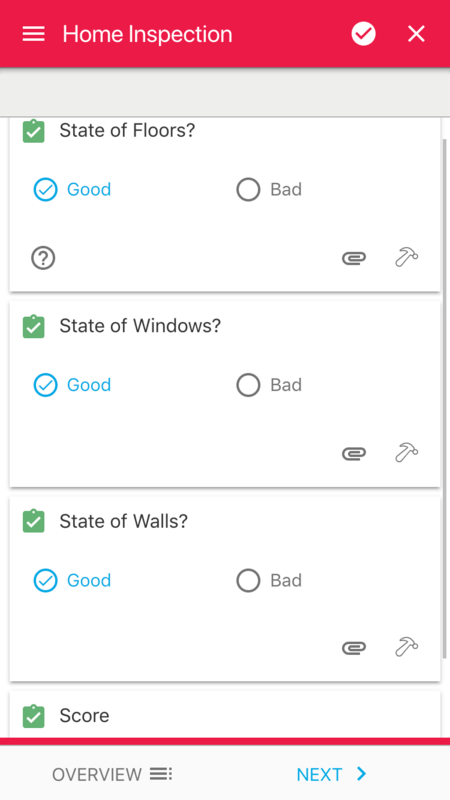 There you can add a text and a picture that helps inspectors finding the answer to a question. 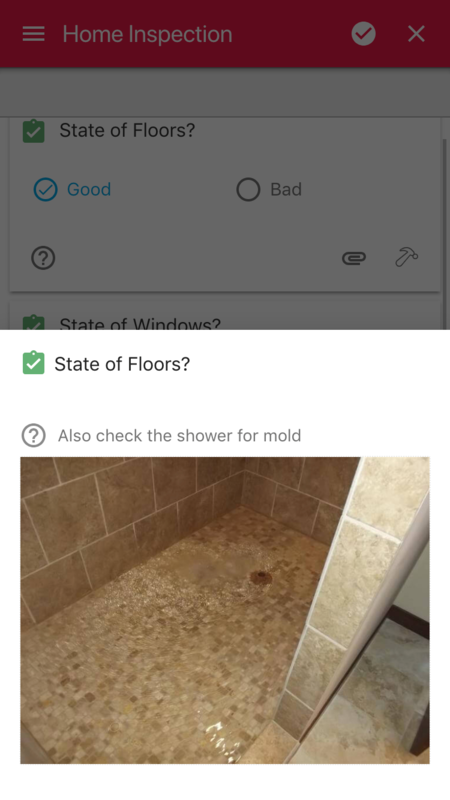 On the bottom of the question "state of floors," there is a question mark which indicates that the question comes with a help text. When you click on it, the help text appears.